Home Album Artist Composer Entertainment Lady Gaga Lyrics Music Singer Song The Fame Monster Twilight Vampire Werewolf Lady Gaga "The Fame Monster"
Amazingly unique is all I can think of! 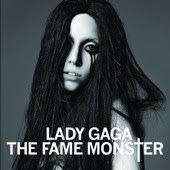 However, if you've noticed the "Twilight" frenzy with everything revolving around Vampires and Werewolves, you might notice some lyrics or songs from Lady Gaga's New Album "The Fame Monster" actually says more about love, werewolves AND vampires. Coincidence? I think not. Yet, I'm loving this album already! This was one of my favourite albums as well at the time. Of course, we have moved on and now love some other genre of music.